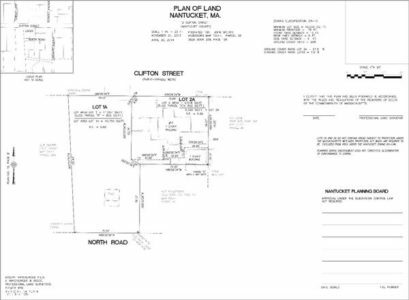 This is a newly created 10,775 square foot lot in the ‘Sconset Village’ in SR-10 zoning. The ground cover ratio is 25%, so there is 2,694 +/- square feet of ground cover available. Two dwellings and a pool are among the many options. This lot has frontage on Clifton Street and North Road. There are many possibilities to build a new family compound on this property.